Tree services take down (and chip) lots of trees over the course of a year, and that means they have lots of wood chips to offload. Stop and talk to a crew (or put in a call to their office), and you may just snag a free mulch hookup, delivery included. Someone else to try: Your local electric company. They're constantly trimming and removing trees that are threatening power lines, so they should have a big stash of wood chips up for grabs. If your town offers curbside pick up of leaves and limbs in the fall, they may also offer free mulch in the spring. Call and see if your town has a free mulch program. Then, go grab your share, if they do. Bring your own shovel and containers with you because it'll probably be a self-serve affair. Toss all of your grass clippings into a pile. Then, use them to mulch next year's garden. They'll do a great job of keeping weeds out and moisture in. Just don't use them fresh: all that nitrogen may burn your plants. Cut down on your weeding time by laying wet newspaper down in your garden, before you apply your decorative mulch (wood chips, leaves, etc.). It'll work just like landscape cloth, and it won't cost you a thing. Just be sure to stick to the black and white pages. Those color ads contain inks that aren't safe for your garden. 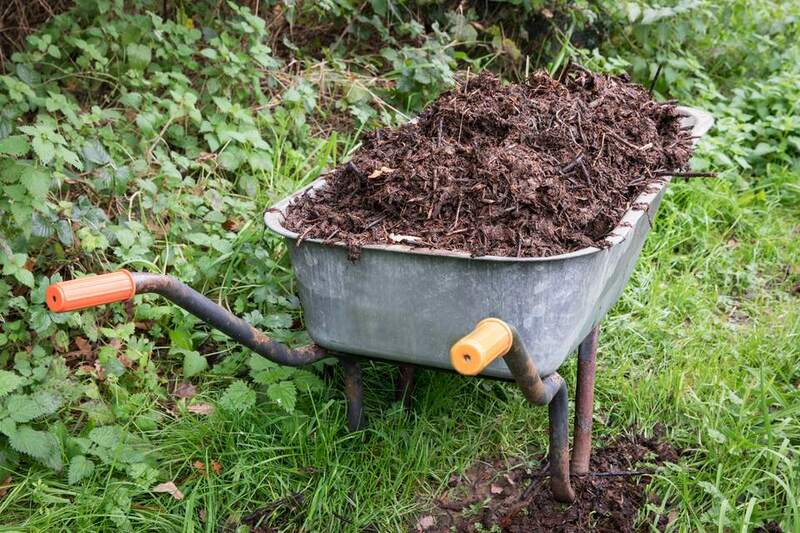 Let freshly shredded mulch sit a season before you use it, so it doesn't rob your soil of nutrients.